LINCOLN, Neb. — Motivation is a common theme come bowl time and in many cases how much a team wants to be there swings the outcome of the game. With a 10th win on the line, the Nebraska coaches don’t seem to think motivation will be an issue against Tennessee in the Music City Bowl. 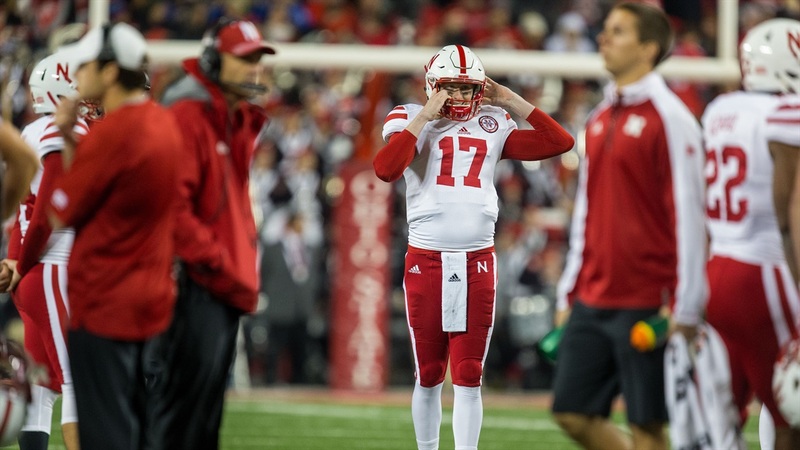 With each passing day it looks more and more likely that senior Ryker Fyfe will start at quarterback as Tommy Armstrong Jr. continues to recover from his hamstring injury. Fyfe is recovering from his own injury — a broken bone in his left wrist — and still isn’t taking many snaps under center, but Nebraska expects him to get his cast off next week as he continues to improve. Offensive coordinator Danny Langsdorf said there was a lot to like in Fyfe’s last start, a senior day win against Maryland. Langsdorf said the offense won't go through any drastic changes with Fyfe taking snaps in Armstrong’s place, although the running backs will likely see a few more carries rather than Fyfe running as much as Armstrong would. On defense, the Huskers are still working to assimilate new cornerbacks coach and recruiting ace Donte Williams into the team, and so far the transition has been pretty smooth according to defensive coordinator Mark Banker. Current cornerbacks coach Brian Stewart is still handling his normal duties while Williams observes and occasionally offers some advice. Over the offseason, Banker (who has been coaching safeties), Stewart (who will shift over to coach safeties next year) and Williams will sit down and get on the same page as they move forward. As for the linebackers, senior Josh Banderas has high expectations for and confidence in the players that will be stepping in for himself and his future outgoing seniors. Chris Weber will have the first crack at taking over for Banderas in the middle. Bray echoed Banderas’s faith in Weber. That group of linebackers includes a few young players who will be fighting for roles next season, and Bray provided an update on three of them — Greg Simmons, Mohamed Barry and Tyrin Ferguson. The idea has been floated by some that an alteration to rules for bowl games that could benefit teams would be to allow redshirting players to participate without forfeiting a year of eligibility. However, Banderas isn’t all that thrilled about the idea. As for Banderas, he said he loves bowl games just the way they are.